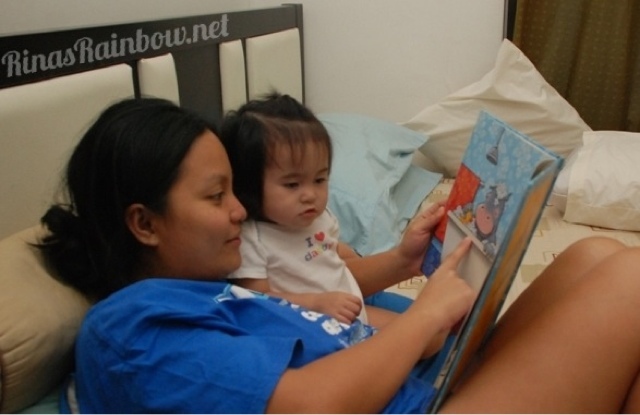 I read her Baby at the Farm by Karen Katz which was a gift to her by her Ninang Lia. 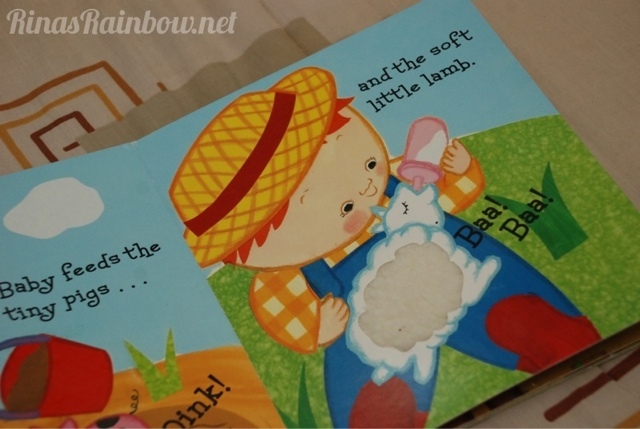 It's a 5-page touch-and-feel book about a baby that visits the farm (duh). She was so in the mood for a story that she made me read it to her twice! TWICE! I was so surprised! I was kinda waiting for her to grab the book from me but she sat still on my lap, intently listening and looking at the photos. Looks like she's already appreciating the art of dramatic reading hehehe. I was so amazed that she was into it that I asked our helper to take our photo the second time. 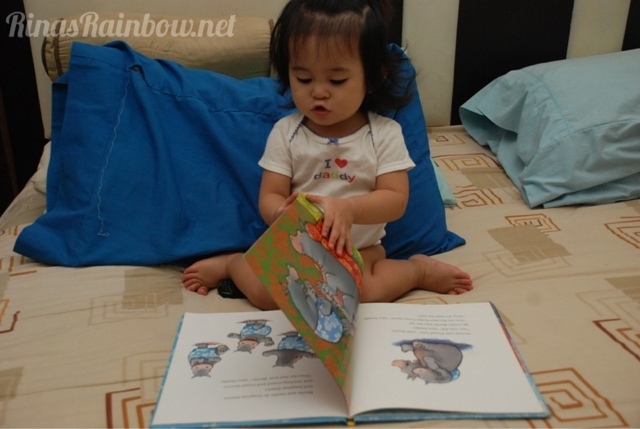 So after giving her a sponge bath, she played for a bit in the room then I tried to read her another book. This time by it's Bertie at Bedtime by Marcus Pfister. This one's longer. 12 pages. This time, Rain wanted me to read the book 2 and a half times! I guess she loved the vibrant illustrations. Considering that this book was way longer than the first one, reading it to her twice without her getting bored was a big deal! 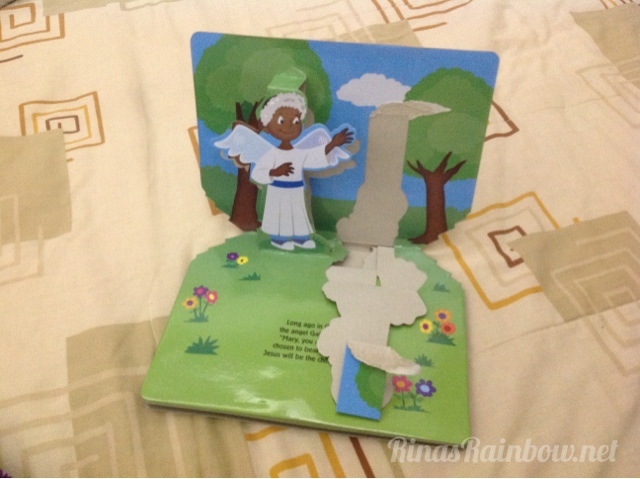 I mentioned "2 and a half" earlier because during the 3rd time, she got back into her lemme-flip-the-pages mode and insisted on examining the book herself. I think she must have flipped for 10 to 15 minutes. She did it long enough for me to take different shot angles of her in action. Actually, the real final thought of the night was: I'm hungry. Darn you After-6! 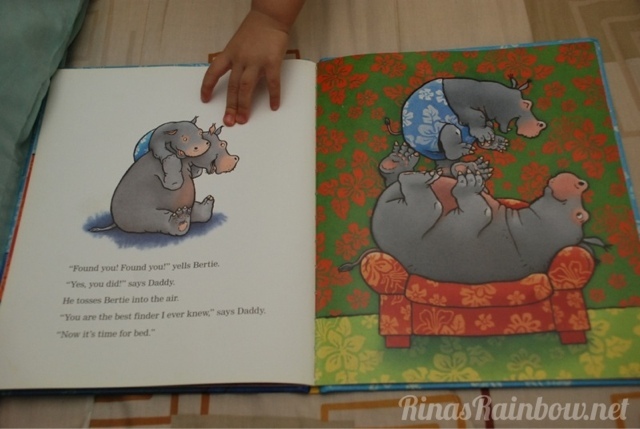 Oh no hahaha may stomping drama pa hehehe:) so i guess it's normal for toddlers to have super short attention span when it comes to reading. Salamat naman hindi ako nagiisa hahaha! Yep i believe in his own time he will eventually get into a reading phase :) siguro lets just keep practicing :) dapat din consistent. may schedule for reading so he gets used to it and he anticipates it na :-) day one palang kami kanina. Wish me luck! :-) good luck din! Lez do diz! You know what? That was my "sudden" dream and eventually went to my bucket list --- write a children's story book! :) Cheers, Rina! Tara, let's collaborate. Hehe.